Home>News>News>Time to take another look at Technology? Once market darlings, tech stocks have been getting a tepid reception from investors for some time now. We all remember how the Facebook IPO went. So, are there new trends materializing around the globe that could re-ignite the flame for technology? Population growth, urbanization, and a rising middle class in emerging countries will all reshape the world in the years to come. Technological evolution will help us to deal with the related challenges – as it has always done in the past. The speed at which new technologies are introduced is frightening. While the iPad has changed the way we deal with information and communication forever, we sometimes forget that Apple only introduced the tablet just over three years ago. The problem for technology investors can often be that disruptive innovation can quickly turn yesterday’s winners into tomorrow’s losers. The key to success is to focus on areas where growth is supported by strong underlying growth trends and innovation. Mirova’s teams are identifying such factors primarily in three categories: Big Data, Cloud Computing and (Mobile) Electronic Payments. With communications and transactions happening electronically more and more, the amount of data available for analysis is growing exponentially. Most of that is unstructured, and the opportunities for analysis to deliver better customer service and targeted marketing are currently virtually untapped. A recent study by Morgan Stanley showed that Big Data spending as a percentage of total IT spending is expected to grow from 24% in 2011 to 28% within 3 years.1 Today’s leaders in this space, IBM, Oracle and Microsoft, are already changing their product mix, while new entrants like Amazon are knocking on the door. The main advantage of cloud computing is that it enables more people to access more data, more applications and more computing power at the same time from different places. It also enables centralization of IT resources, which increases efficiencies and lowers operating costs. In a study by Merrill Lynch, the size of the market was estimated to be almost $120 billion in the 2012–2015 timeframe, which still only represents approximately 12% of total software and related spending.2 While IT powerhouses like Google are very active in this space, new niche players like salesforce.com and LinkedIn are also emerging. The introduction of the smartphone has opened the door for changing consumer behavior. At the same time, the exponential growth of e-commerce is also putting more emphasis on security of electronic payment systems. The opportunities linked to mobile payments are enormous. A recent study by McKinsey showed that more than a billion people in emerging countries have a phone, but no bank account.3 Telecom operators and companies like Google could become banks’ biggest competitors in emerging markets one day. Companies active in electronic payment security, like Gemalto, Ingenico and PayPal (eBay), may be winners too. 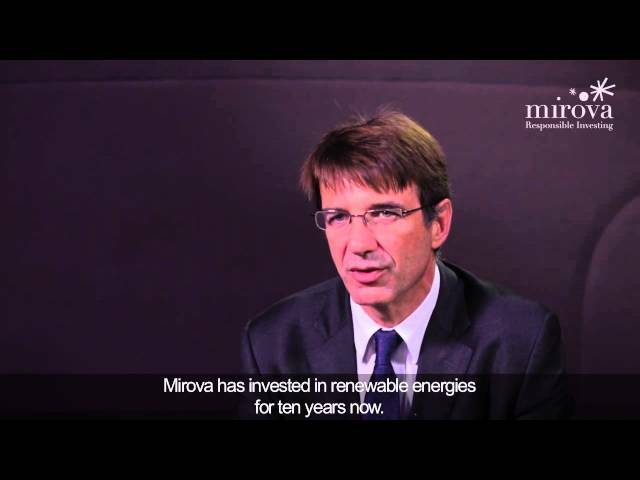 From Mirova’s point of view, the key to success in IT investing is to avoid today’s powerhouses that are vulnerable to disruptive innovation. While some companies, like Google, are actively innovating in the right areas, others will likely use the cash they generate to acquire those companies that pose a threat to their own business model. It is most likely that their targets are active in the areas of Big Data, Cloud Computing and (Mobile) Electronic Payments.